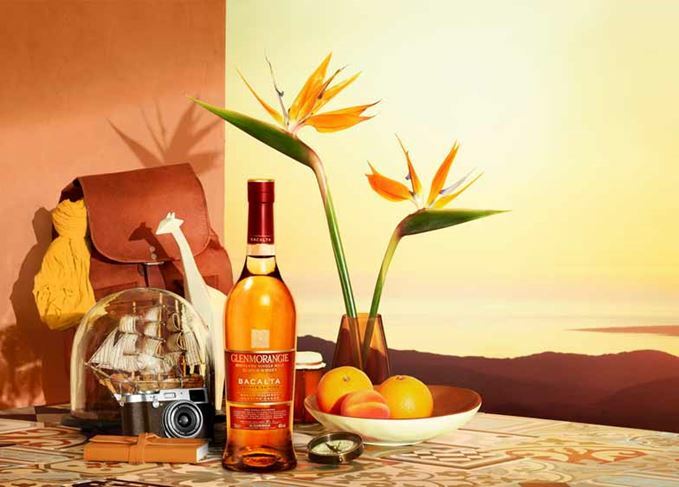 Glenmorangie has unveiled Bacalta, the eighth of its annual Private Edition releases, a single malt whisky extra-matured in Madeira wine casks. Inspired by the Highland distillery’s discontinued Madeira Wood Finish – claimed as the first whisky of that type – Glenmorangie Bacalta (Scots Gaelic for ‘baked’) spent two years in former Madeira wine casks after roughly 10 years’ maturation in ex-Bourbon barrels. The Madeira casks were constructed, toasted and seasoned with sweet Malmsey Madeira wine for two years in a traditional canteiro – a warehouse heated by the sun on the Portuguese island – in line with the specifications of Dr Bill Lumsden, Glenmorangie’s director of distilling, whisky creation and whisky stocks. Bottled at 46% abv and non-chill-filtered, Glenmorangie Bacalta will be available from specialist whisky retailers with a UK RRP of £79 a bottle. Find out more about the development of Glenmorangie Bacalta in our exclusive interview with Dr Bill Lumsden. Milsean – Gaelic for ‘sweet things’ – is extra-matured in heavily toasted Portuguese red wine casks.